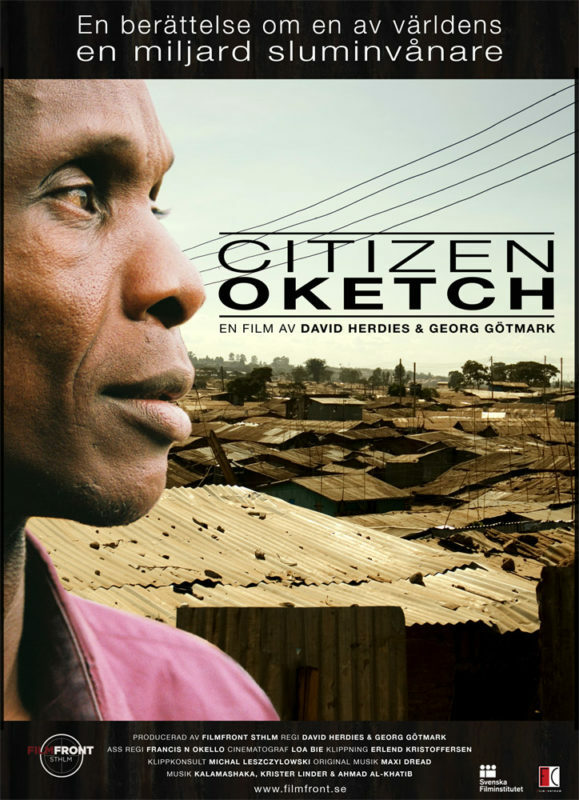 Citizen Oketch is a film about people struggling to overcome the hardships of life in Kibera, one of East Africa’s largest slums. It is also a film about joy, friendship and love. For two and a half years the directors, David Herdies and Georg Götmark, follow the life of George Oketch and Esther Okonyo as they raise their kids, fight to overcome the constant obstacles of disease and poverty, while trying to maintain a loving relationship. George and Esther are from different tribes, and their relationship was questioned already from the outset by their families. As Kenya is thrown into ethnical violence following the election in 2007, the family find themselves in the epicentre of the conflict, they have to protect their kids not only from the angry rioting mob but also from the teargas and gunshots of the police. Nevertheless, in the shadow of the massive media-coverage of burning slums, life in Kibera continues. And all this time George’s goal is to make enough money to be able to pay the dowry to Esther’s parents. This way they can legitimize their marriage, and secure the future of their children. Throughout the documentary, we hear the sounds of the ghetto radio station, Koch FM, pumping out their own brand of Edutainment, Educating by entertainment, that serves the slums of Nairobi with concious messages and popular music.